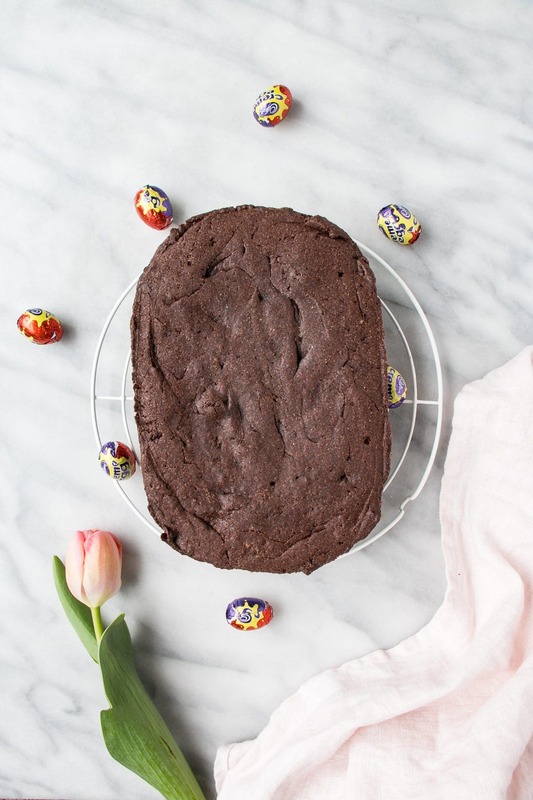 Chewy, fudgy Creme Egg Brownies come together in one bowl and are a surefire way to use up any lingering Easter treats! We are all over the Easter Bunny and his treats! Since I like to spread out the consumption of candy from any holiday, I usually end up taking the candy, like Creme Eggs, and recreating it into a dessert or a special treat that will take us longer to consume (rather than inhaling all the creme eggs in one sitting). What makes brownies fudgy and chewy? The ratio of sugar and flour to butter. 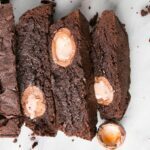 This brownie recipe is my tried and tested recipe from these Dulce de Leche Brownies and always generates the perfectly fudgy and chewy brownie that I’m looking for. The brownie batter comes together quickly (in under 10 minutes if all the ingredients are nearby) and spend the rest of the time baking in the oven. 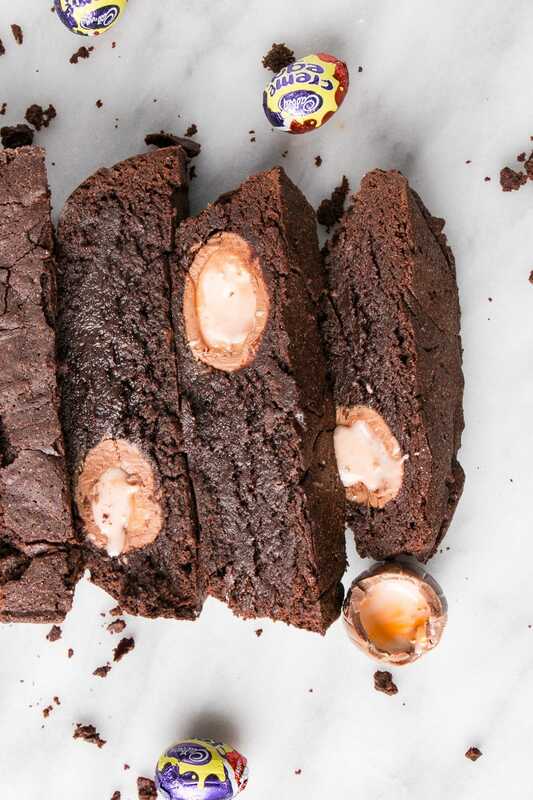 I’d recommend letting these brownies cool completely before cutting otherwise the interior of the creme eggs oozes completely out. 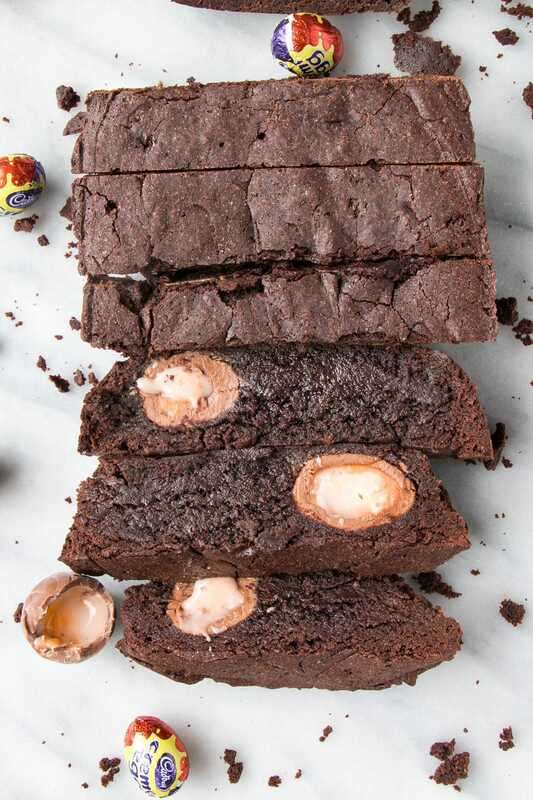 Which is kind of the point of Creme Egg Brownies isn’t it? 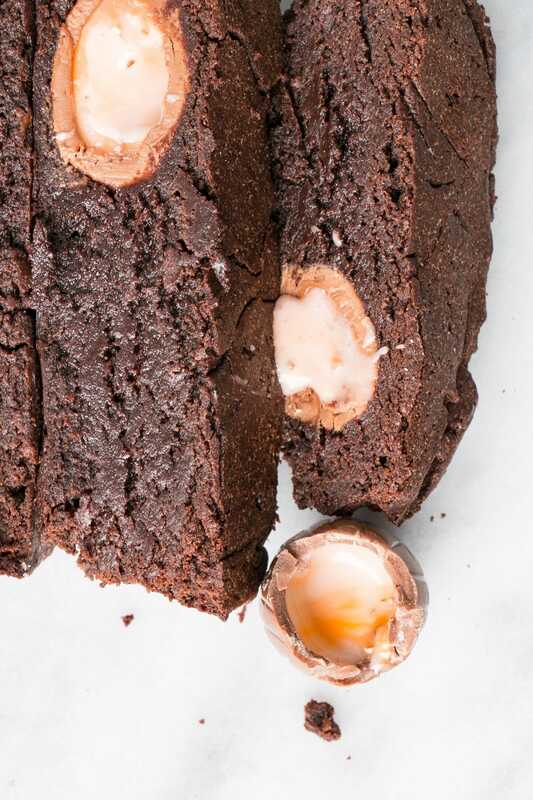 That gooey centre of a Creme Egg we all love? I can’t quite decide if I love Creme Eggs or Mini Eggs more. What I do know, is that Eater would be incomplete without them both! Do you have a favourite? 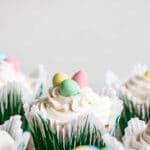 If you are a Mini Eggs fan, here’s a cute recipe that uses them. Line a 8-inch (20 cm) square pan with a long sheet of parchment paper to cover the bottom and all sides. Use 2 pieces of paper if need be to cover all sides. Melt the butter in a medium saucepan. Add the bittersweet chocolate pieces and stir constantly over very low heat until the chocolate is melted. Remove from heat and whisk in the cocoa powder until smooth. Add in the eggs one at a time, then stir in the sugar, vanilla, then the flour. Scrape half of the batter into the prepared pan. 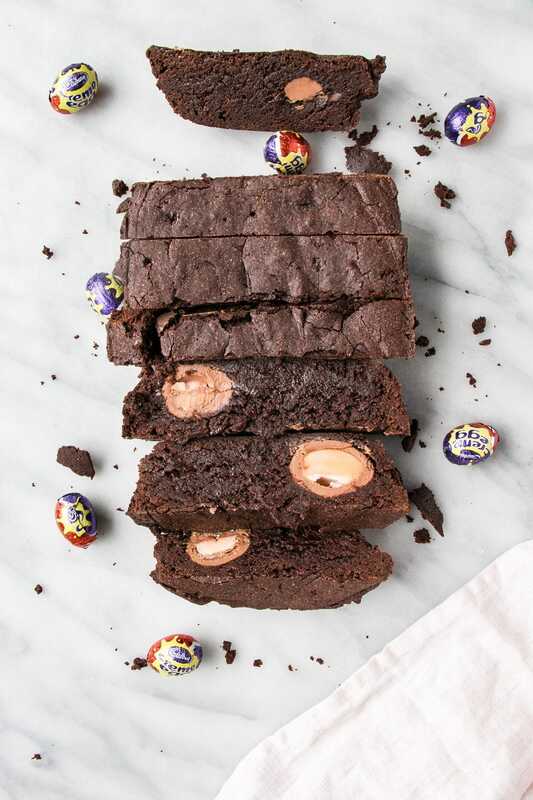 Place the Creme Eggs in the batter (I like mine lined up so I can cut the brownies into squares where everyone gets at least half a creme egg). Cover with the remaining batter and smooth the top. Bake for 35 to 45 minutes, until a toothpick or knife comes out clean from the brownie batter. Remove from the oven and cool in pan for 15 minutes. Remove from pan and let fully cool on a rack. 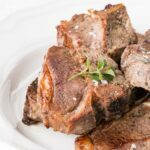 This recipe was originally posted on Peaks and Harbours in 2016. 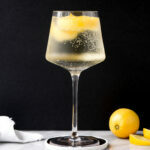 This post and photos were updated March 2018.